Eventually, I hitch a ride to Bakthapur with a Nepalese couple and share a taxi for the last section to the capital with an older lady who has now emigrated to America. Such small encounters give me a lot of joy, but I forget them almost as soon as they happen because they add up and then merge into one in my memory. Back in Kathmandu, I enjoy a final dinner with a new French acquaintance who has worked for years in China as the attaché of the French ambassador. She tells me a lot about the Chinese. I enjoy unpacking my French and talking about this strange-to-me culture. In the evening, enveloped in the street dust, we stroll back to our hostel. The next morning, I get out of bed and fall into the taxi to the bus station. There, I wait in the morning rush hour between locals and merchants, until my bus appears somewhere in the second row. It's unrecognisable, but I have long learned not to wait for someone to let me know. It's only with difficulty that I can pronounce the name of the place to which the bus is supposed to take me and only with difficulty does the busboy understand me. 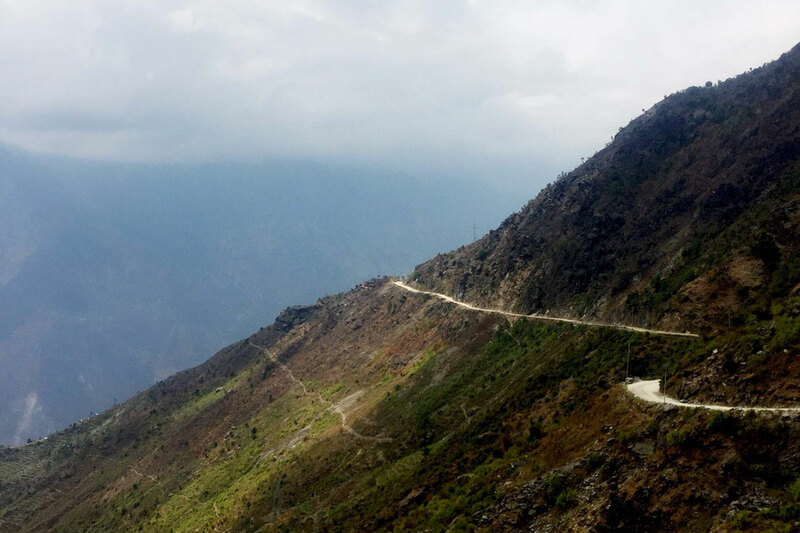 Our route takes me directly to the northern border between Nepal and Tibet, the Friendship Highway. The road is incredibly dangerous, in fact only a dirt road. 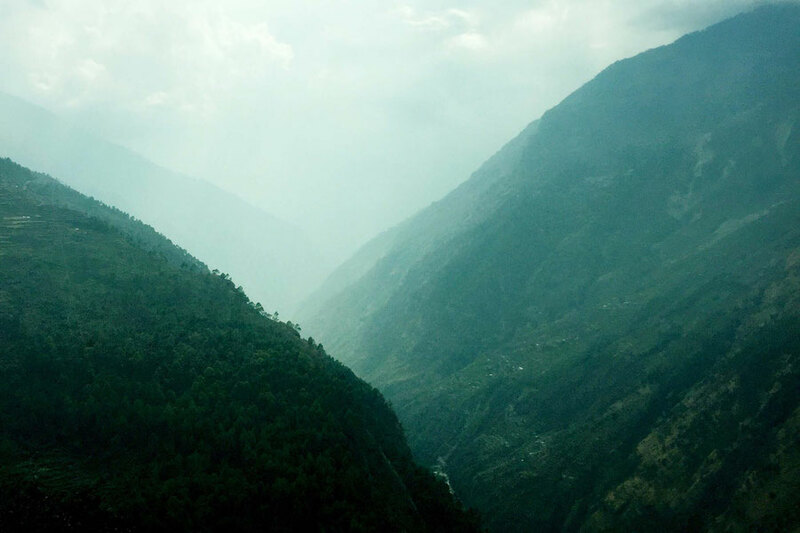 On its right, the mountains are rising into the sky and to the left, they fall into the valley. I've never seen such a deep valley before. The river digs into the rocked walls, and trees overgrow the slopes. The clouds push deep into the valley, and eventually, a thin drizzle transforms the otherwise dusty army green of the plants into emerald. In the distance, the mountains turn into a beautiful grey-turquoise. Nepal is once again showing its best side, fit for a fairytale. I'm staying in one of the typical hotels in the village, from which others start the Langtang valley trek. I spend my last night in Nepal with a New Zealander, an American and a Hungarian. I feel useless surrounded by a geographer, a water engineer and an EU conflict expert, but the conversation is fascinating. However, we are united by our opinions of the world and the problems in this country. The next morning, I tumble out of bed at half-past seven and go out to look for one of the non-existing buses. The evening before, I asked my landlady if she could tell me if there was a bus to the border. However, since the border in this place has only been opened since November 2017, but was closed from February to April, there is no public transport. Since I have no desire to pay 5,000 rupees (€50) for a Jeep, I put my thumb to work. And so it happens that shortly after, I sit in the driver's cabin of a typical Nepalese truck and for two hours get thoroughly shaken one last time.